Students will have an opportunity to tour and understand the genius behind Homeboy Industries, a gang intervention, rehab and reentry program that help former gang members redirect their lives and become contributing members of their families and community. Students will be introduced to the workings of different communities around the Los Angeles area. The primary focus is to understand what individuals and agencies are doing to help formerly incarcerated individual reenter society, provide employment to those who have lost jobs, and connect with agencies who are addressing the immigration issue in our country. The most important aspect of the immersion experience is the human contact that our students will have. They will come face to face with the raw truth of poverty, the dibilitating effects of gang involvement, and the glimmer of hope provided by various social services and religious outreach agencies. Past students have documented their experience of the immersion. Read their reflections and get a glimpse into their experience by reading their blog. 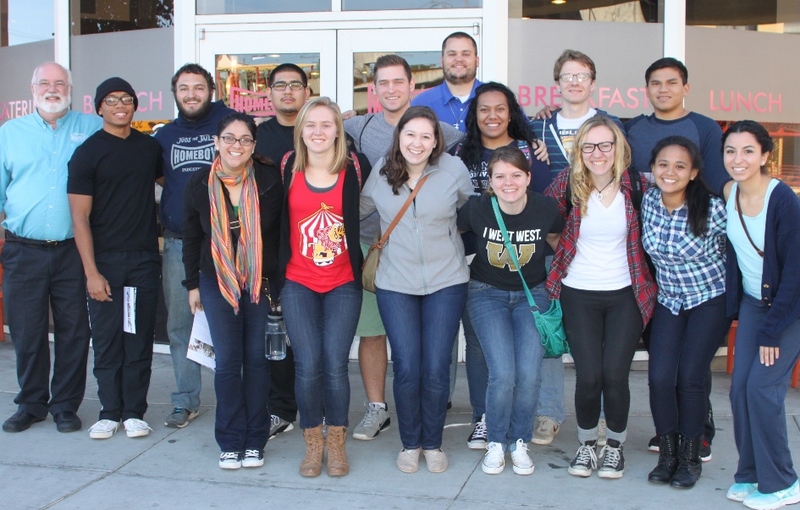 The immersion experience is limited to four undergraduate students who are first, second, and third year students.